Earlier this month, Carnegie Hall’s Weill Music Institute announced the launch of NYO Jazz – an intensive summer programme designed to nurture and showcase the talents of exceptional young American jazz instrumentalists aged between 16 and 19. 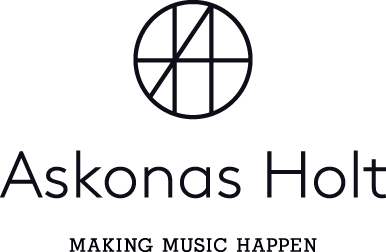 The programme will begin in summer 2018, and Askonas Holt is delighted to continue our relationship with Carnegie Hall through the programme’s inaugural tour. An extension of NYO-USA and NYO2, the musicians will take part in an intensive two-week residency at Purchase College, State University New York, where they will have training and rehearsals, mentoring from top jazz artists, and side-by-side music-making and artistic collaboration among the three NYO ensembles. NYO Jazz will then embark on their inaugural European tour, which will be announced later this year. In this inaugural year, trumpeter, composer, and educator Sean Jones will lead NYO Jazz as Artistic Advisor, directing the big band’s debut performance at Carnegie Hall in July 2018, as well as their European tour. For more information, please visit the Carnegie Hall website. As well as working with NYO Jazz, our Tours & Projects department is also managing upcoming tours for NYO-USA, NYO China and the European Union Youth Orchestra. This summer, NYO-USA will embark on their debut tour of Latin America, under the guidance of conductor Marin Alsop, with performances in Guadalajara, Quito and Bogotá. Inspired by Carnegie Hall’s programme, NYO China’s inaugural year will bring together 100 high school-aged musicians for an intensive two-week training programme under the direction of Jindong Cai, a group of world-class teaching artists, and conductor Ludovic Morlot. They will then make their debut in New York’s iconic Carnegie Hall before heading on a three-city tour of China. 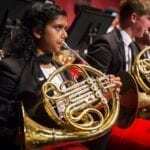 The European Union Youth Orchestra continue their unique “Capital Sounds” project, marking the orchestra’s 40th anniversary. This year, the focus is on Scandinavia and performances on the tour include Liepāja, Latvia and Kaunas, Lithuania with conductor Vasily Petrenko and soloists Baiba Skride and Christian Lindberg.